Post Scriptum: The Bloody Seventh is a simulation game at heart. Like Red Orchestra, ARMA and World War Two Online, it offers up tactical, squad-based gameplay with repercussions for making mistakes. This guide will help (or try to help) stop you from making those mistakes. Mobile Spawn Point (MSP) Guide. Post Scriptum: The Bloody Seventh is a simulation game at heart. Like Red Orchestra, ARMA and World War Two Online, it offers up tactical, squad-based gameplay with repercussions for making mistakes (usually in the form of a headshot from a player you didn’t even see). 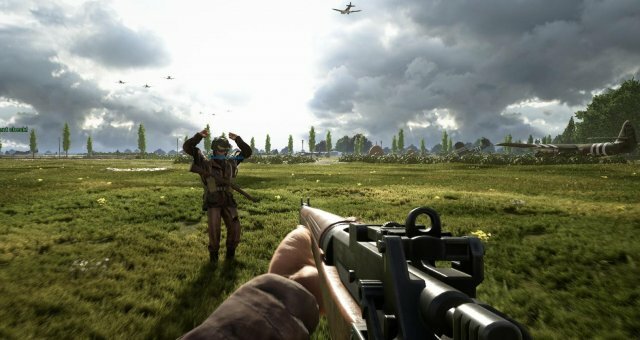 These games are known for their high difficulty curves, so as Post Scriptum comes close to launch, here are a set of tips to help you make the best start to the game. You want to play a tactical simulation game, and you don’t have a microphone? What’s wrong with you? In all seriousness, Post Scriptum, much like SQUAD, might as well make having a mic plugged in a prerequisite for the game launching. Everything is done on comms from the commanding level down to the squad and local level. There are three channels of mic-based comms: Strategic (red/brown), for squad leaders and the commander; Squad (green), for comms between section members; and Local (blue), for talking to comrades in the vicinity. You should be willing to get involved in every level. Don’t be shy about telling people that you’re new. Post-Scriptum has some of the highest levels of communication between players I’ve ever seen in a game, and everyone is willing to help you out. "Uhh, there are some enemies to our left, mark them on my body"
"Guys, I’m taking fire from the East, compass point 70"
"SL, there’s an enemy squad at grid J10-1-3"
Spot the difference between the three? Pressing enter will allow you to bring up the section screen and point your cursor anywhere on the map. In the bottom right there will be a set of coordinates for wherever you’re hovering. Use those numbers to tell your SL where enemy infantry, vehicles or defences are set up. Not only can they then mark the map, they can tell the commander - who may bring in support bombardments to help you out. Alternatively, you can use your compass (default "Y”) to give a quick direction check for those around you. The British and German compasses look different, so familiarise yourself with their layout first before calling shots. 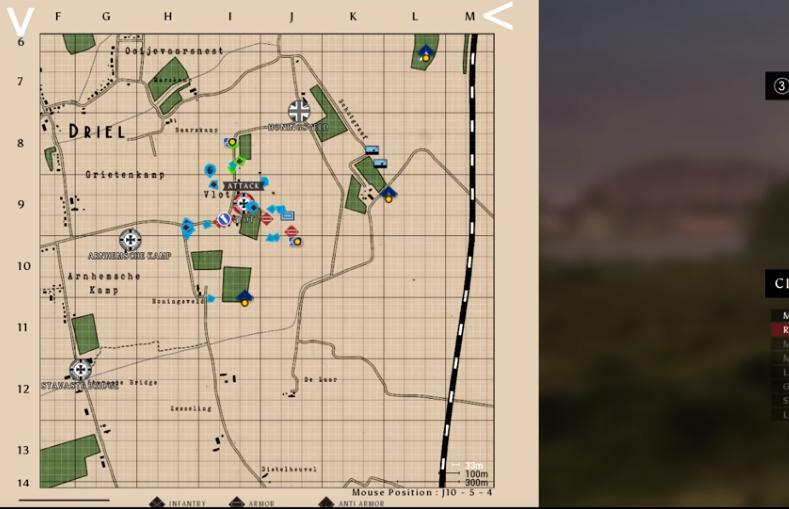 Post Scriptum operates with a system not unlike World War Two Online, in that troops may only spawn from forward operating bases (FOBs) or truck-based mobile spawn points (MSPs). There’s no "spawn on squad” in this game, or even the rally system deployed in SQUAD. You’ll have to get used to hiking across the countryside for a few minutes before you get into action. Since these points are so precious, try not to run in a direct line from them to your objective. Canny enemy soldiers will track your path and follow it back to your spawn point. If an enemy soldier gets close to an MSP, it stops working, depriving your side of valuable reinforcements. MSPs and FOBs are set up by a four-man logistics squad. If they’re around when you spawn in, be sure to thank them for their hard work - they spend most of the game driving trucks around the map for you. If you run towards your enemies like a headless chicken you are going to die in this game. You are going to die a lot. 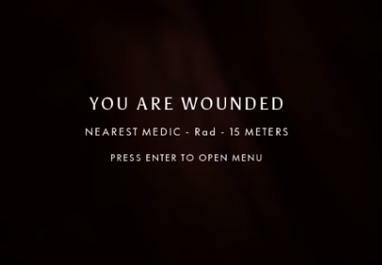 Not only that, you are going to get a lot of really good medics killed as they try to revive your lifeless body after you sprinted into an open field by the enemy point. Post Scriptum is about realism. That means if you take a significant hit you’re going down. When approaching an objective take things slowly - your enemies will be watching for any signs of rapid movement. Crouch into a hedgerow, pause for a moment, watch vantage points, and then move again when you think it’s clear. Hop from cover to cover, and you’ll also never run out of stamina from sprinting everywhere. It’ll make your shots cleaner when you do finally spot an enemy. If you’re with your squad, make sure they’re in proper cover and remember to call out contacts. Nine pairs of eyes are much better than one. Playing with your squad is arguably the only way to play this game. You just won’t get the same amount of fun from lone wolfing it. Also, many veteran SLs from the Beta will likely kick you for running off and wasting good soldier kits. It might seem harsh, but honestly the whole squad would be better off without that kind of hassle. Every kit in Post Scriptum comes with a number of useful secondary tools. Too often do soldiers neglect what’s at their disposal. Every combatant comes with a set of smoke grenades, perfect for covering that final approach to a hamlet or fogging up the vision of an entrenched MG42 gunner. Riflemen can deploy sandbag barricades to give comrades some extra cover, while medics can, aside from providing heals and revives, use their binoculars to call targets to their SLs. Post Scriptum features a tonne of realistic sounds and recreated models, to bring the battlefields of Operation Market Garden to life. Spend some time playing as both the Allies and the Axis to learn the sounds and sights of both. Being able to tell the staccato sound of the British Bren gun from the buzz of an MG42 could mean life or death when you’re running from cover to cover. Was that rifle snap a Lee Enfield or a Karabiner 98k? Knowing the difference could allow you to get the drop on an enemy who thought he had slipped past your comrades undetected. Don’t be afraid to try out other support roles. If there’s a slot free for an AT gunner then go ahead and jump in, but let your SL know you’re a newbie at it. You never know, he might give you some tips. I started out hesitantly as a medic, and now it’s my favourite role to play. Just, please, try not to insta-lock the marksman role. Yes, we all love to snipe, and having a scope on a rifle in Post is extremely fun, but if there’s a tank terrorising your FOB, taking that support slot away won’t help anybody. When you’re starting to get to grips with things, remember to jump into the armoured sections or the logistics crew. The vets there will be happy to have someone new (especially in logistics) and - in my experience - will readily tell you everything they know to help get you up to speed.